Beautifully constructed family home near Sconset Village with privacy and Atlantic Ocean views. 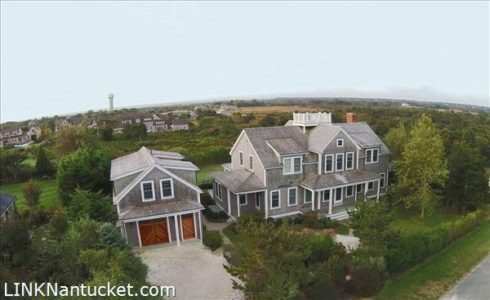 This property abuts Sconset Trust Conservation Land and is in close proximity to Sankaty and Nantucket Golf Course. The five bedroom main house, with one bedroom studio/garage, sits on a half acre at the end of a private drive. This quiet home is the perfect spot for a family seeking their own corner of Nantucket for generations to come. Lower Level The lower levels is finished with high ceilings and windows providing natural light. A rec-room, large bunk room, Full bath, Guest bedroom with private bath are also included in the space.